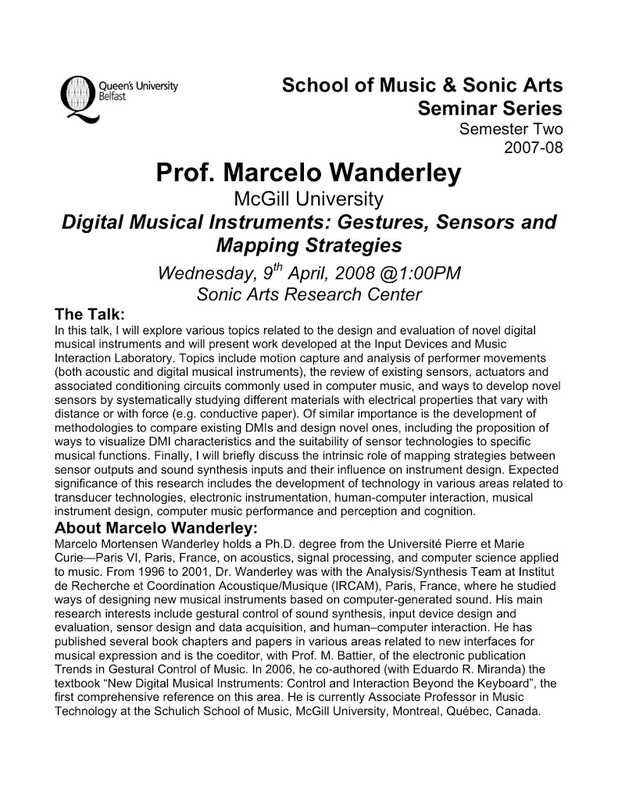 Attended a talk by Marcelo Wanderley on the subject of Digital Musical Instruments. Click on the image below to read the full blurb. 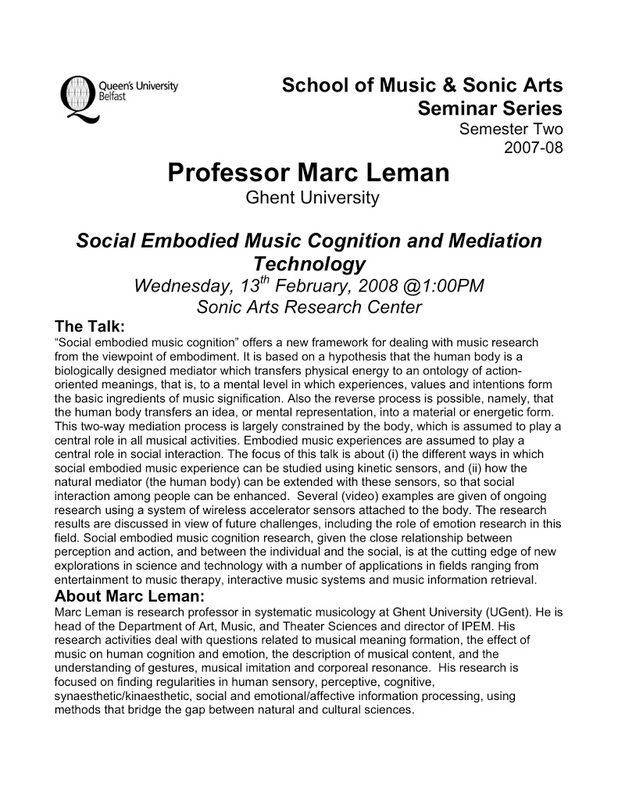 Attended a seminar by Professor Marc Leman of Ghent University on “Social embodied music cognition”. The main hypothesis of the talk is that “the human body is a biologically designed mediator which transfers physical energy to an ontology of action-oriented meanings, that is, to a mental level in which experiences, values and intentions form the basic of music signification”. An interesting part of the talk dealt with the difference between distal and proximal perceptual cues, something which may be of relevance to my work on new musical instruments. 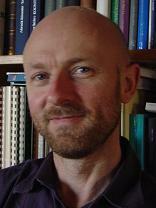 A large part of the talk was about his work on body resonance, and how music affects peoples walking and dancing. Click on the flyer image above for more information. Lecture by Gary Marsden on Mobile Interaction Design. In particular covering his experience of developing for mobile phones in south Africa. fun with FFT’s FIR’s and IIR’s… May be useful in designing filters for sensors. Went into greater detail than last week, including aspects such as: spectral leakage, short-time-fourier tranform, windowing, ovelap-and-add, and finally using the Max PFFT object to achieve automated windowing. Assignment this week involves building a simple spectral delay. Attended the second lecture on musical applications of fourier theory. Started by discussing a Christopher Penrose piece called “Fraud”. As I missed the first lecture I hadn’t heard the whole work. Need to get hold of it… Homework for next week involves creating a max patch to create a variety of different waves (triangle, sawtooth & square) by manipulating the harmonics of a sine wave. To refine this I’ll also need to look into programming patches in max with Java. I’ve avoided having to do this so far, so now’s probably a good time to learn.